Here it is with the back stitch detail completed. Two jazzy snails and a butterfly! 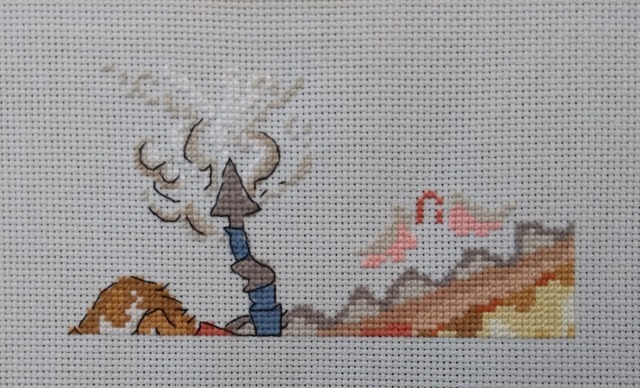 Next time I’ll be stitching the last section of the roof line at the right hand side. I’m only spending a couple of evenings every three weeks on these small sections so it’s quite easy going and fun to do. Have a lovely time if you celebrate Christmas. Don’t forget to leave a carrot out for Rudolph and a glass of something warming for Santa. I hope he brings you lots of lovely crafting supplies if that’s what would make you smile 🙂 Best wishes to all for 2019! Our next updates will be posted on the 13th January 2019. 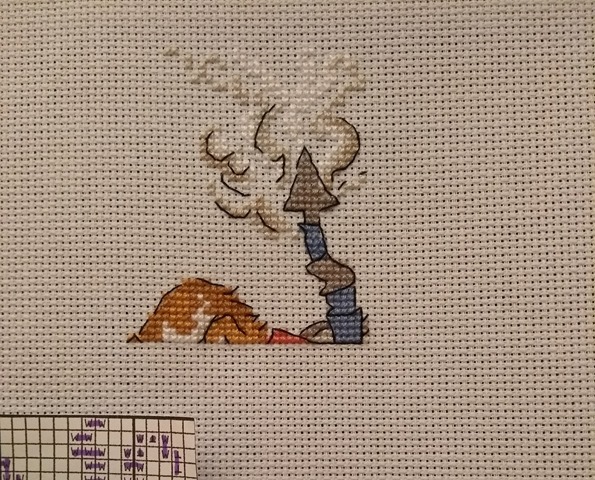 Here is my update on the Cut Thru Garden Shed cross stitch. Designer credits are here. If you need a reminder of how it’ll all turn out in the end, you’ll find a photo in this post. I continued working along to the right. Here it is before the back stitching was done. Here it is with the back stitching all finished. I’ll keep going across the top of the roof line for next time. 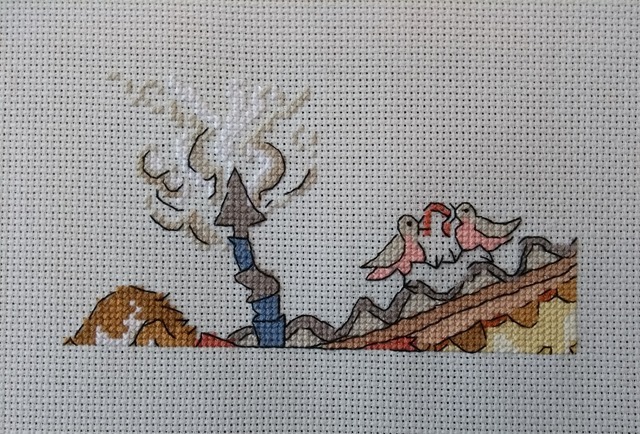 There’s a bit more stitching to do in the next section. Our next updates will be posted on the 2nd December 2018.